Transportation – mainly urban transportation -- accounts for 26 per cent of global carbon emissions. It is the only sector where carbon emissions continue to grow, adding to the climate change burden. Indian cities are developing at a frenetic pace; the urban commute in these cities is leading to immense energy guzzling and air pollution – a situation which is echoed in most cities of the Global South. The challenge that cities and their transport managers face, therefore, is that of transitioning to clean and low carbon technologies. This is a field which offers a huge scope for cross-learning from other cities – especially cities in the developed world. 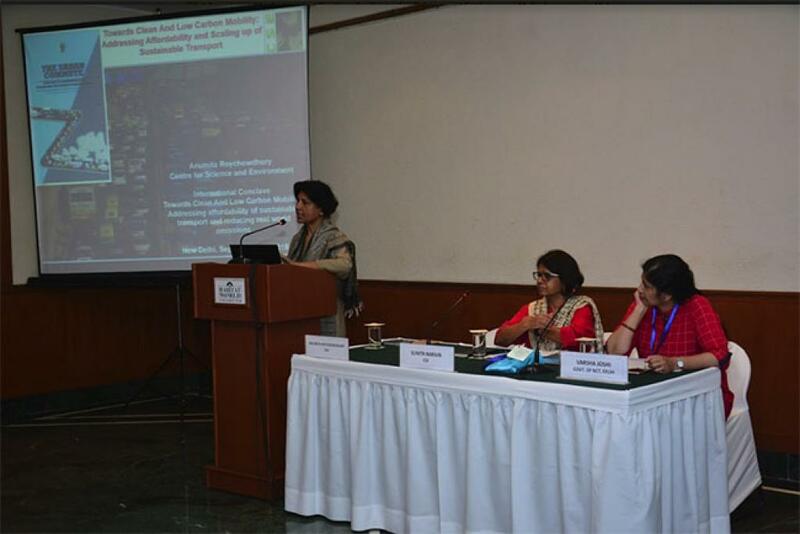 The Centre for Science and Environment (CSE) had organized the International Conclave on Clean and Low Carbon Transport Strategies to exchange ideas and knowledge and explore the scope for this cross-learning. Many journalists from across India attended and covered the two-day event in New Delhi. The Conclave offered an opportunity to know more about the rapidly evolving world of clean transport technologies, informed about the best practices prevalent across the world, and brought the gathering face to face with some key experts in the subject.